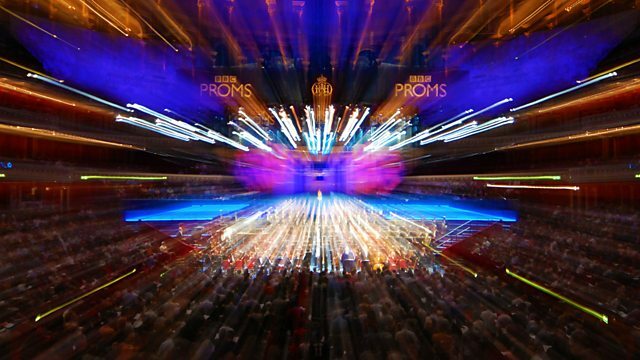 Live from the Royal Albert Hall, Clive Anderson introduces the spectacular climax to the 2009 Proms season, with American conductor David Robertson. Live from the Royal Albert Hall, Clive Anderson introduces the spectacular climax to the 2009 Proms season. American conductor David Robertson is master of ceremonies for the first time, with two top soloists: mezzo soprano Sarah Connolly and trumpet player Alison Balsom, and the combined forces of the BBC Symphony Orchestra, the BBC Symphony Chorus and the BBC Singers. There's music for fireworks, music to dance to and music played by vacuum cleaners, in a festive evening that culminates in the singing of the famous tunes by Arne, Parry and Elgar. Digital viewers via the red button can choose to see more from the Proms in the Parks around the UK in Hyde Park, Salford, Swansea, Glasgow and Hillsborough Castle, Northern Ireland.